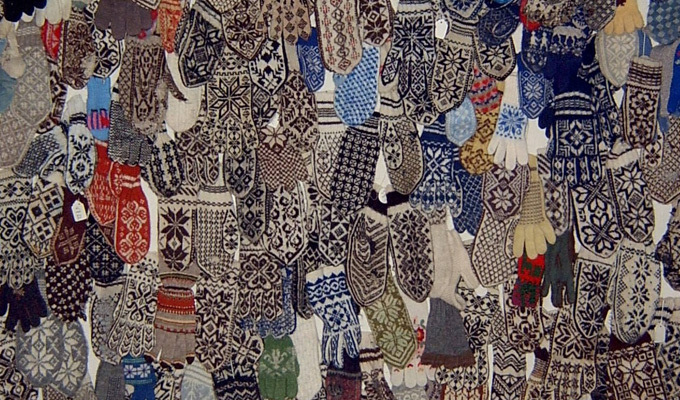 What is behind our knitting tradition? 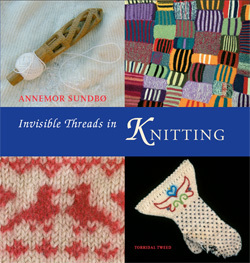 In this book, Annemor tells the story of traditional culture’s heritage and its place in society and describes what was happening in folk culture during the time the art of knitting took root. From there, she traces those lines over to our time. The material comes from her own memories and experiences – not least from thirty years with Torridal Tweed and Wool Comforter Factory – but also from oral histories and source materials that she has found in books, historical records and old newspapers. From her viewpoint and from her lifetime, she attempts to synthesize women’s role in knitting history. Annemor does not approach the material in a scientific or academic manner. Instead, she has wound herself back and forth in history and the art of knitting, to pull out threads in order to make visible a little of what knitting has meant for women, home, economy, and society. She shares some of her thoughts, memories, knitting experiences, quotes, speculations, and some small knitting projects. Knitting memories, symbolism, folk beliefs, and yarn tails can be exciting baggage to carry along on the journey into the world of knitting techniques. The patterns in this book are suitable for anyone, from the occasional to the passionate knitter. They are particularly written with the thought of using remnants of yarn as a thread connecting ideas that can be developed further and passed on from hand to hand. A knitting book for anyone interested in culture and anyone who likes to knit. There is magic in these patterns which conjures up all sorts of forms and figures just by using two needles and garter stitch.